Myanmar’s army and civilian leadership held a rare “national security” meeting on Friday and discussed an internal investigation into the Rohingya crisis in Rakhine state, the president’s office said. The meeting — only the third of its kind since Aung San Suu Kyi‘s government took power in 2016 — follows a deal to allow the U.N. to enter Rakhine to assess when refugees may be able to return. Until this week’s deal with the U.N., Myanmar had dragged its feet for months over the repatriation of the stateless minority, insisting the region is safe for their return but refusing access to outsiders to evaluate conditions. Pressure is also mounting from the International Criminal Court (ICC), which is due to discuss on June 20 whether to launch an investigation into the crackdown. Myanmar, which denies the ethnic cleansing allegations, has dismissed the move, saying it is not a signatory or member of the Rome Statute which underpins the ICC. The country has said it will establish its own independent probe to investigate human rights abuses. Suu Kyi and Commander-in-Chief Min Aung Hlaing were among the 15 attendees at Friday’s meeting in Naypyidaw, a Facebook post by the office of President Win Myint said. It covered “national security and international relations including the crisis in Rakhine state” and the formation of an “investigative commission” on Rakhine. The select group last convened immediately after the August 25 attacks last year by Rohingya militants which killed around a dozen border police and triggered the army’s campaign against the Rohingya. Analysts say high-level meetings between the civilian government and military could help smooth differences that perforate their power-sharing agreement. 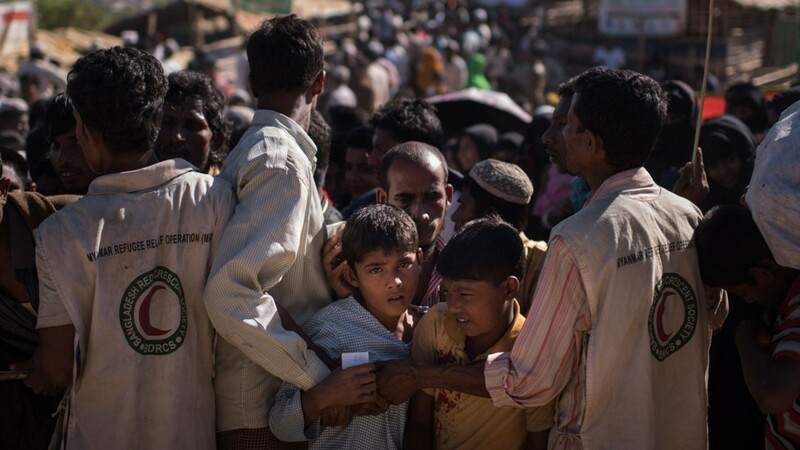 Myanmar and Bangladesh signed a repatriation deal in November for the Rohingya refugees. But only around 1,000 refugees have been cleared for return, while virtually none have gone back, demanding safety guarantees, citizenship and compensation for razed villages and commandeered farmland. Both countries have traded accusations over who is responsible for the delay. New U.N. envoy Christine Schraner Burgener is expected to visit Myanmar shortly to discuss the Rohingya crisis. Why is US Leaving the Kurdistan Region of Iraq to Iranians?